Yet it’s something we all do, whether we’re aware of it or not. It’s even harder to be objective when that cover belongs to your own book! 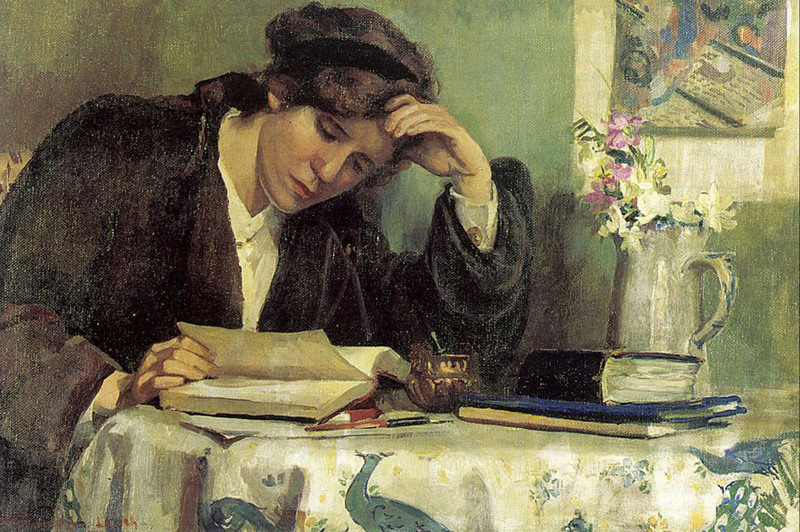 An author’s emotional connection to their work is usually strong, and sometimes personal preferences can unconsciously override what might be more popular with readers. The challenge is to strike a balance or fusion between the author’s ideas and appealing to the marketplace. When it comes to covers, whatever will accurately represent the story and arouse a potential reader’s curiosity is the priority. Here is a comparison of titles held by the Library of Congress (the oldest federal cultural institution in the United States, thought to be the largest library in the world), versus Amazon, the world’s largest online book retailer. It’s a tough job to create a compelling book cover that’s both eye-catching and unique, in order to stand out in a crowded market and entice readers. It has to embody the story with flair on the outside, and then fulfill the promise of that visual hook on the inside. The bottom line is, does the book cover create the desire to read it? A cover plays a major part in helping to differentiate your book from the plethora of titles available online and in book stores. Is it greedy to want both a stunning cover and great content? No, I don’t think so. These are the standards professional authors aim to achieve and that readers expect. There are some amazing and iconic covers out there. Here is a list of the 50 coolest book covers chosen by shortlist.com. I am hugely excited and a teeny bit trepidatious about changing my literary ‘brand’. The new cover is very different from the first, but that’s a good thing in my opinion. Otherwise, what’s the point in a fresh look? 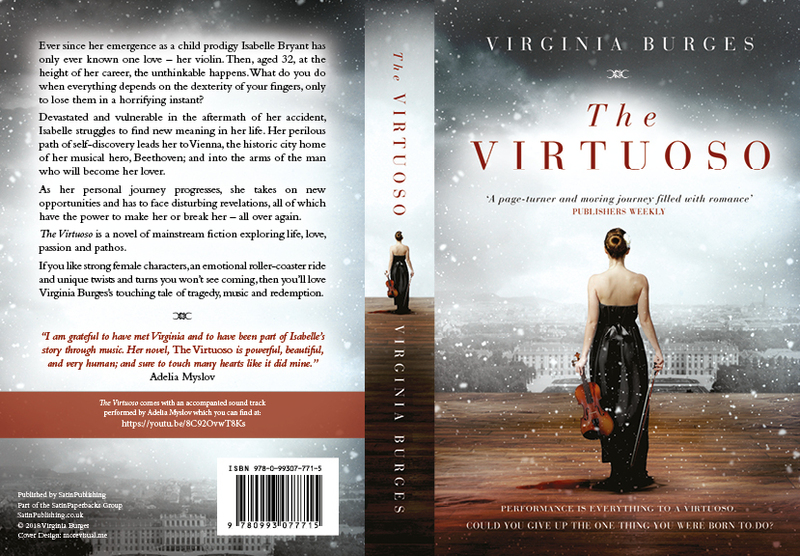 I asked Oliver Bennett at More Visual Ltd. to redesign the cover of The Virtuoso to include my Publishers Weekly review, and of course, the beautiful contemporary classical soundtrack (embedded on the sidebar), performed by violinist Adelia Myslov. I think he has done me proud, and I love it. But what I think doesn’t really matter. It takes creative courage to judge your own book by its cover, and you can only go on your own impressions as well as feedback from others. I’m grateful to those I’ve asked for giving me their honest opinions and suggestions. Ultimately, artistic design is highly subjective, just like the act of reading itself. If you fancy giving it a go, here are the UK and US Amazon links. 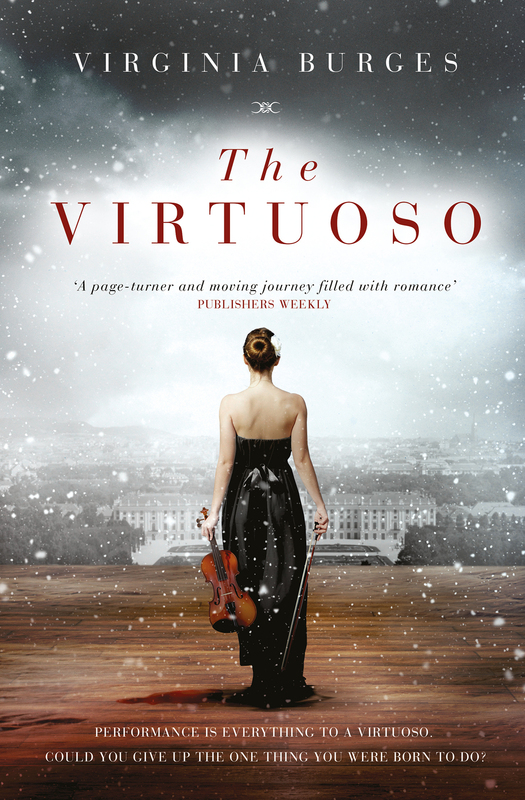 The Virtuoso’s new Goodreads page. I’d be delighted for any feedback from readers: either past, present or possibly future! I am currently offering free digital copies to book reviewers and book lovers who are willing to leave an honest review. Just drop me a line via my contact page and I’ll email the link. If you prefer to hold a paperback I’d be happy to send you one in the post. For U.S. based readers I’m running a Goodreads Giveaway of 100 Kindle copies of The Virtuoso between 16th and 24th June. You will be able to enter this giveaway from the link I will post on my sidebar. The unique ability of humans to weave fact and fantasy into stories may have elevated our species more than any other single factor during our time on Earth. It’s miraculous enough that we can mentally time travel in our own minds, but to be able to mentally time travel into other minds (and thanks to the written word, even in ones that are no longer with us), opens up an unparalleled panoply of experience, knowledge, wisdom and imagination that can benefit every person alive. I would even suggest that the term ‘survival of the fittest’, first coined by Herbert Spencer and published by Darwin, (also referred to as ‘Natural Selection’ in evolutionary terms), should be upgraded to something like: survival of the finest and most prolific storytellers, or survival of the most imaginative! The literary scholar John Niles postulated that our species, Homo Sapiens, should be renamed to Homo Narrans – the storytellers. The sharing of our ‘mind wanderings’ has opened up whole new worlds as we collectively meander through many epochs and countless lives. History as we know it is a collection of stories about the past. We all share a common ancestral heritage – our forebears roamed the African Savannah during the Pleistocene Period, the last ‘Ice Age’, dating from as far back as 2.6 million years ago to the last 12,000 years, during which time modern humans evolved. Storytelling is literally in our DNA! Human connection is a neurobiological need and stories connect us in a powerful, compelling way. Tribal wisdom about how to survive the harsh conditions and not be eaten by a sabre tooth tiger would have been important information to pass on, along with the hunter-gatherer experiences of foraging for food and useful items to use and keep us warm. Cave paintings were the earliest non-verbal stories, before conventional language developed. 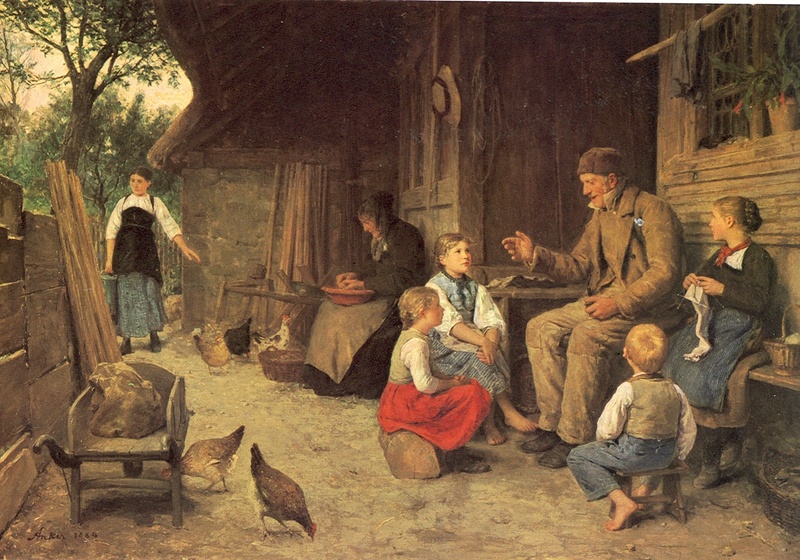 It was perhaps the most important of our social skills, and was usually reserved for the elders and best orators of the tribe, to ensure that their younger members learnt the techniques of hunting and about their food sources. 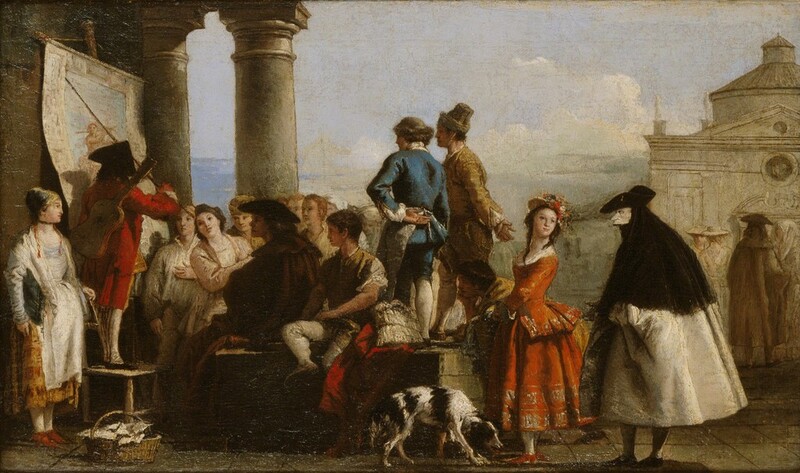 In this way stories of individuals became the experiences of a social group. Indigenous Australians have told stories dating back 50,000 years, from their first arrival in Australia after their journey from Africa. Preliterate tales of discovery and heroism prevailed through gestures and the spoken word down through the generations, until the written word became a game changing moment in humanity’s evolution. 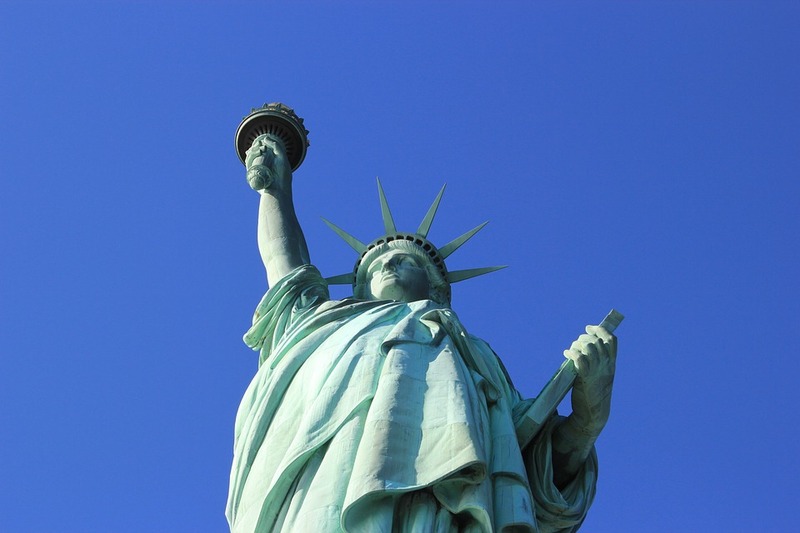 Stories are so powerful that they can create cultural beliefs and bind people together. 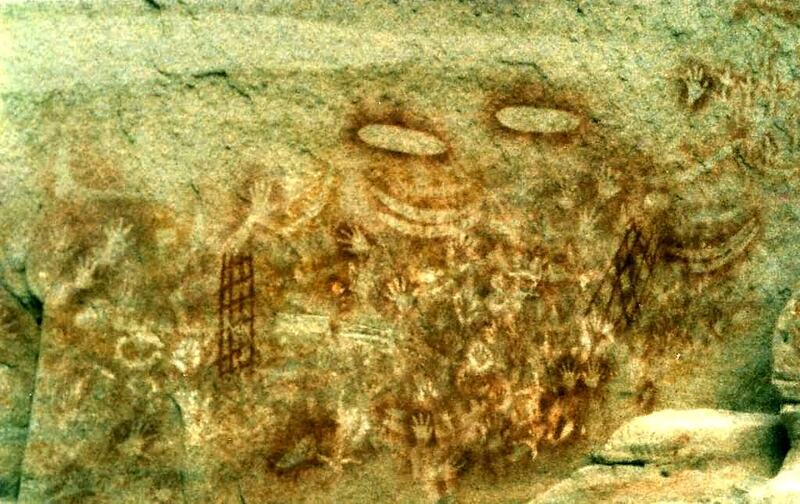 The Aboriginal Dreamtime is one such example, and many religions developed from stories. Who hasn’t heard of Adam and Eve? We only have to look at enduring ancient myths and creation stories that still prevail today, either in their original form or retold with with a modern spin. Such tales are pervasive in cultures all over the world. Stories kept us alive and helped us to thrive, and they are still doing the same today, albeit in a more sophisticated way. Imaginary adventures stem from play – an attribute that tends to be discarded after childhood, but which is essential for learning and development. My children are oblivious to everything when they are at play, engrossed in their imaginations. The importance of childhood fairy tales cannot be underestimated. Those beguiling opening words: Once upon a time…lead them onto adventures with elements of danger that they can experience in safety and a playful environment that may stand them in good stead when they encounter an actual fearful situation in real life. Stories open up new possibilities that would take many years of painful experience to learn otherwise. It is thought that vocal linguistics grew from gestural movements, naturally using arms, hands and facial expressions. Communities could come to agree on meanings, ensuring clarity in communication. Sign language is a perfect example of a conventionalised gestural language specifically for deaf communities. It’s thought there are some 7,000 languages in use around the world, each with their own set of ‘rules’ or grammar. English is classified as an SVO language – Subject – Verb – Object, but the majority of languages, such as Latin, are SOV, placing the verb last. All six possible orders are to be found in mankind’s numerous languages, the rarest of which are OSV languages, of which 4 are known: the Warao in Venezuela, Nadëb in Brazil, Wik Ngathana in north-eastern Australia, and Tobati in West Papua, New Guinea. No matter how a language is structured it is a device that enables the teller to set a scene or an event in a time and place and tell stories of complexity limited only by memory, powers of description and ability to sustain attention, venturing into the minds of others. Something William Shakespeare was quite adept at! After the invention of writing and later the printing press, epic tales were told as long poems with rhyme and metre, which were popular as an aid to memory, and the earliest known story in literature is thought to be the epic tale of Gilgamesh, about a Sumerian King. 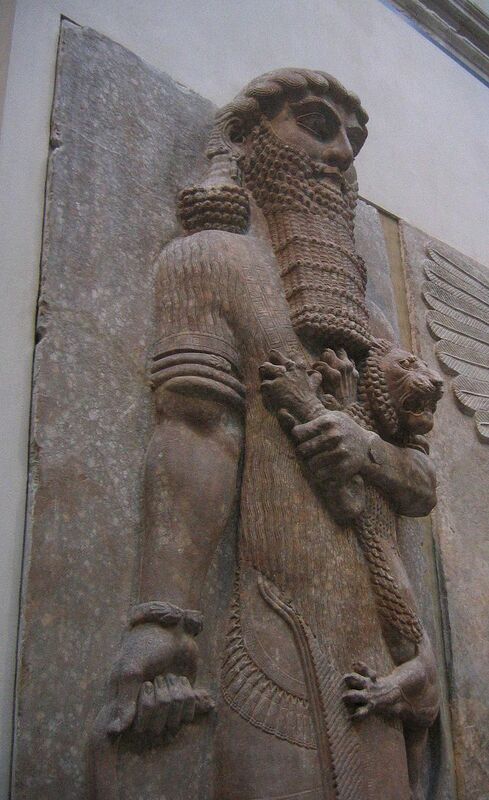 The story of Gilgamesh provided a basis for later works of fiction, and such stories contain a full range of emotions and establish heroes and villains that act as models for the way people behave in society. early 15c., ficcioun, “that which is invented or imagined in the mind,” from Old French ficcion “dissimulation, ruse; invention, fabrication” (13c.) and directly from Latin fictionem (nominative fictio) “a fashioning or feigning,” noun of action from past participle stem of fingere “to shape, form, devise, feign,” originally “to knead, form out of clay,” from PIE *dheigh- “to build, form, knead” (source also of Old English dag “dough;” see dough). 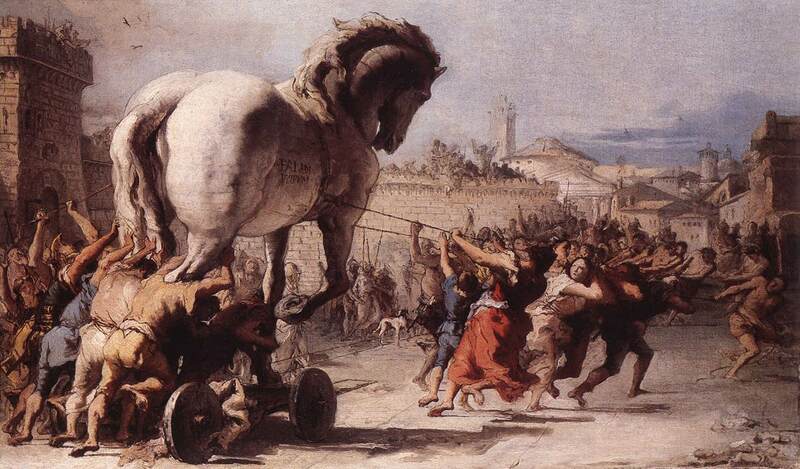 Other examples are the famous Greek poems, The Iliad and Odyssey by Homer, written in around the 8th century BC, as well as more recent iconic works: Inferno by Dante, Canterbury Tales by Chaucer, Paradise Lost by John Milton and poems such as Rime of the Ancient Mariner by Samuel Coleridge Taylor and Don Juan by Lord Byron. These days we have novels, plays, radio, film and television; stories are much more varied and widely dispersed through a substantial range of media, but the structure of a story is still crucial to its popularity, longevity and influence. It was only a matter of time before our beloved Jane Austen would be infiltrated by zombies!! 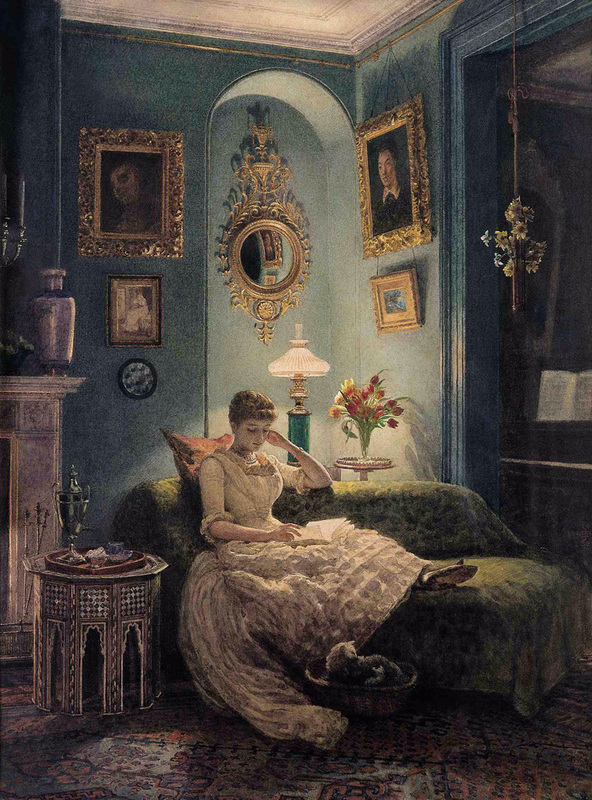 Fiction is essentially a rhetorical art – which means that the author or novelist persuades us to share a certain view of the world for the duration of the reading experience, effecting, when successful, that rapt immersion in an imagined reality that Edward John Poynter captured so well in his painting of a lady reading. In order to spin a good yarn one’s mind has to wander off the beaten path, it has to transcend time and space, as well as purvey these mental time travels in a way that will entertain and educate. To make a living from mind wandering is a noble calling, but it’s not as easy as one might think. A story is a single, unavoidable, external problem that grows, escalates and complicates, forcing the protagonist to make an internal change in order to solve it. 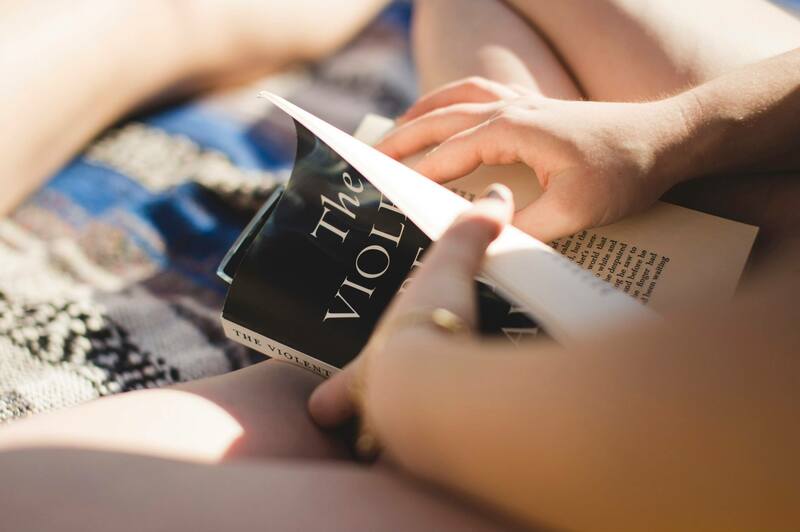 We all have books that stayed with us long after we turned the last page – because the changes that the protagonist went through and the obstacles they overcame resonated with similar emotions or circumstances in our own lives. It took us on a meaningful journey. 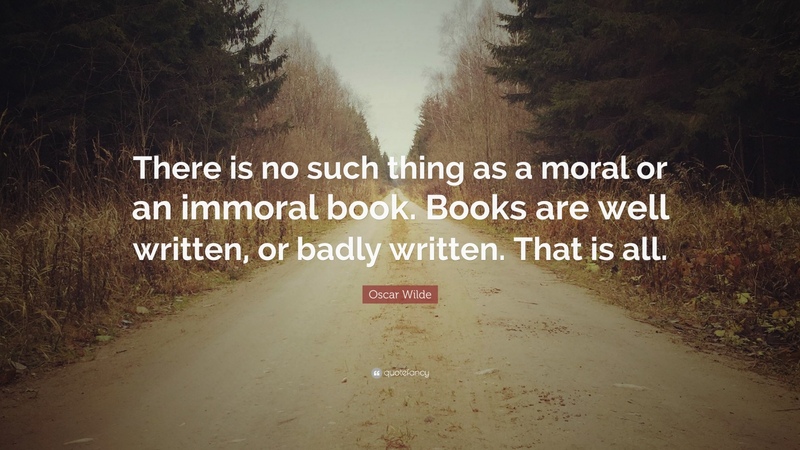 Moral values can be reinforced through the medium of crime fiction for example, where readers can travel through time, (thanks to Arthur Conan Doyle) with the likes of the analytical and unsentimental Sherlock Holmes into other people’s minds and motivations to encounter danger and intrigue and solve a mystery. Charles Dickens’ stories provide a vivid insight into 19th century London and the often dystopian conditions the poor lived in. Except his fiction was drawn from reality. His theme was social commentary. Dickens was the first novelist to pioneer the serialisation of novels, leaving readers to eagerly anticipate his next book. Some of our society’s best loved stories were created from pure fantasy, such as Star Wars, and you might think that it can only serve purely as entertainment and to escape the every day drudgery of life. I’ll let you in on a secret: there have been times when I doubted myself and had to mentally give myself a pep talk and tell myself that the force is with me! 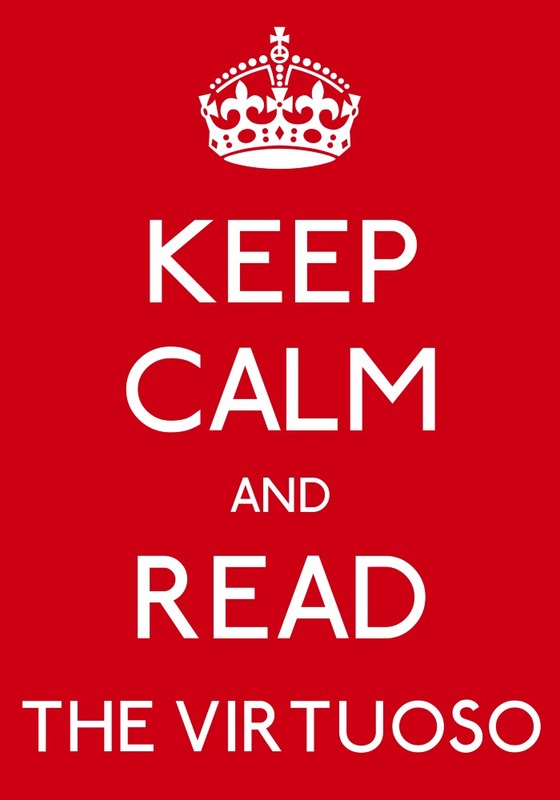 Studies show that fiction increases empathy and improves mind-reading, making us better able to understand others. There is scientific evidence that the architecture of our brains is hardwired for story because it gives us context, emotion and feeling. We can thank Aristotle for his erudition on the structure for engaging and memorable stories; namely an emotional connection to the main character and pity over the situation they did not deserve, keeping them reading through worsening situations, obstacles and jeopardy that they now fear from the central conflict, driving them to the conclusion and catharsis, the emotional payoff, the happiness drug that is literally released by the brain when struggle has been overcome, perhaps as fulfilling as some other recreational activities! For me, writing and being creative is a combination of mind wandering and focus, and equally reading can set off ideas and mind wandering. 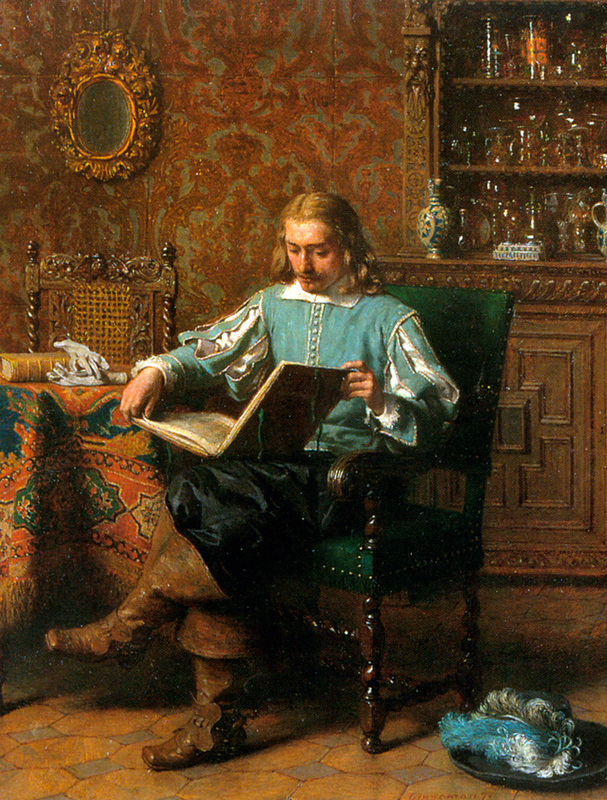 The telling of stories is unique to mankind, allowing us to expand our mental and emotional lives to unlimited horizons. 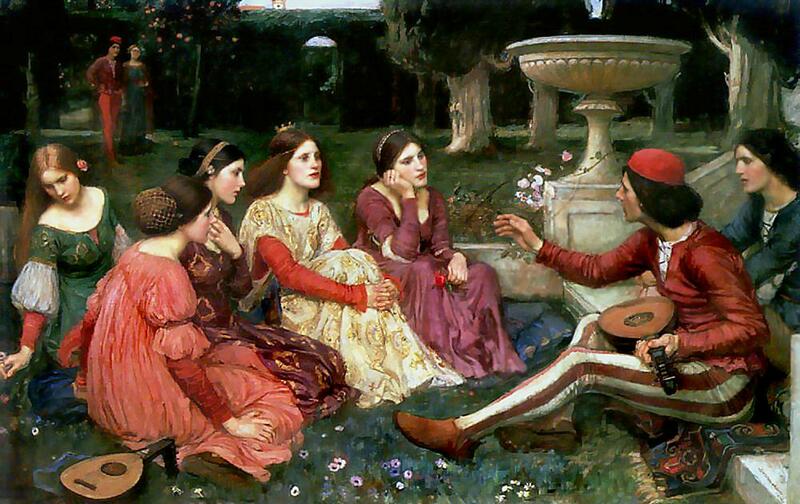 Storytelling is the imaginary portal between our past, present and our future. We authors are a sensitive breed. At least, I know am. Perhaps it’s because of my creative and open nature. Writers live in a world of words and pictures, with scenes floating around and playing out in our heads. Premises come and go; only the most compelling that take root in the depths of our imagination will be used for that next novel. Our heads are full of images: faces, voices, characters, traits, plots, places, descriptions, all coalescing and escalating to a breathtaking climax before breakfast. No, not that sort! Not literally I hope, but sometimes it feels like my head will explode. You craft your stories as best you can, edit them, get them read, incorporate feedback, edit and rewrite, get more feedback and go on until you’ve reached the end of your tether and just want to get the darn thing published. You’ve probably gathered I don’t possess the patience of a saint! Some writers are blessed with quick minds, maybe if they have no other work or family commitments they can churn out a book every year. It took me five to finally publish my debut novel, The Virtuoso. It was a labour of love. But that doesn’t mean to say I don’t care about its journey out into the big, wide, literary world. With upwards of a million books on Amazon and the empowerment Indie publishing brings to many aspiring writers, it’s tougher than ever to stand out among the noise as a first time author. 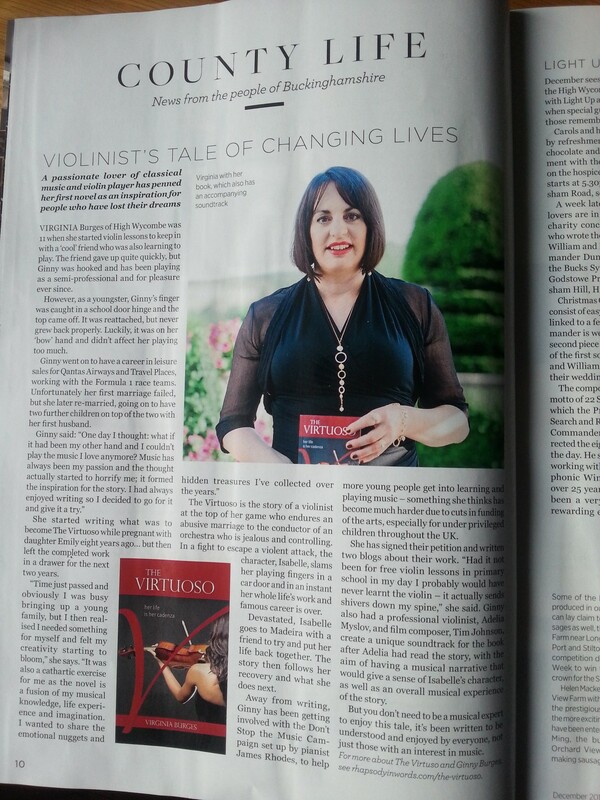 I know if I could just get The Virtuoso featured on Classic FM or BBC Radio 3 I’d be in with a fighting chance of reaching many of my potential readers through the medium of music. After all, music is at the core of my novel, and so is an irresistible story. Sadly, I don’t have a large marketing budget to afford the advertising and an unknown author is a bit of a risk for the big radio stations. And now to the question of how to make an author insanely happy: it’s twofold really, read their book and write an honest, constructive review. 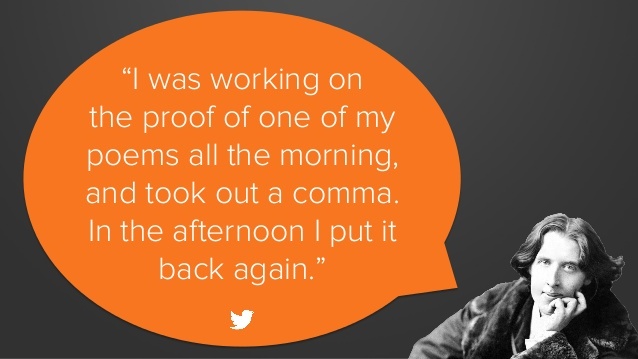 Social proof is the best way for a fledgling author to win new readers and build up a fan base so that they can hit the ground running with their next novel. 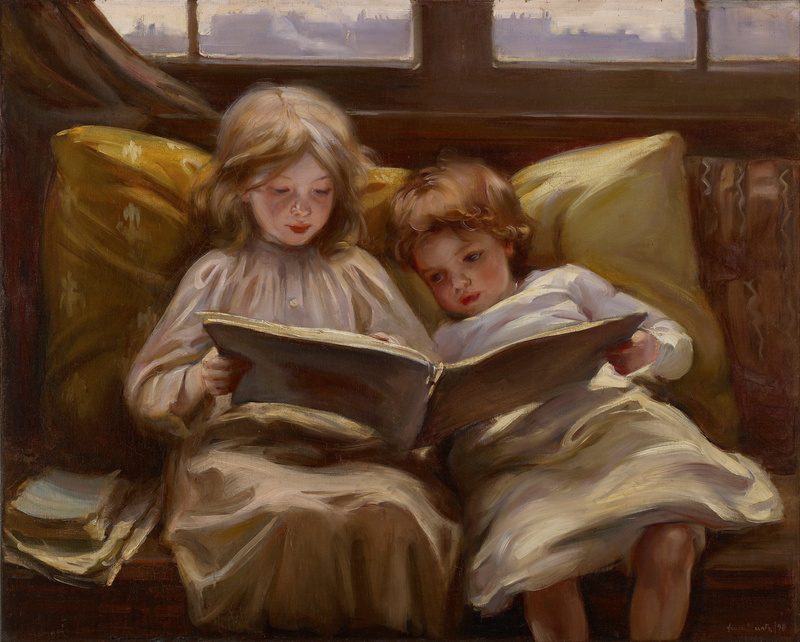 Writers spend many hours obsessing over their ‘babies’ and want nothing more than to enrich readers’ lives with their work. I haven’t found the process of marketing my book entirely comfortable, I don’t like to blow my own trumpet, but it is certainly easier to sound off someone else’s! Hence my unashamed promotion of my first major book review; an awesome endorsement from industry giant, Publishers Weekly. 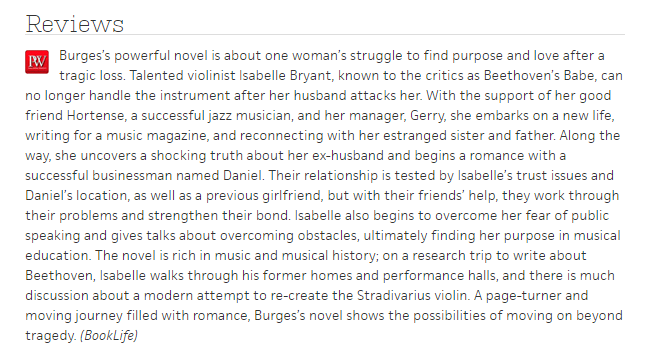 When I submitted The Virtuoso for a review on their BookLife platform I wasn’t expecting anything to come of it. It was highlighted that many, many books were sent to them and only a select few would be chosen for a review. Imagine my delight when I received this email from BookLife yesterday! Thank you for submitting your book for review to Publishers Weekly. Of the hundreds of self-published titles received each month, only a handful of the very best are selected for review. Dare I finish by saying that the thing that would send this particular author into the stratosphere, would be to have a film adaptation made of The Virtuoso. My readers tell me they think it would make a fantastic film. My dream cast would be Keira Knighly in the main role as Isabelle Bryant, the heroine of my novel. She has the perfect blend of spirit, talent, vulnerability, courage and beauty, (both inner and outer) to play the beleaguered violinist. her Her box office appeal doesn’t hurt either! Sharon D. Clarke is the only woman I can visualise as the larger than life jazz singer, Hortense Lafayette. I think Damian Lewis could bring the right amount of the narcissist and tortured soul to conductor Howard Miller’s character. I’m not sure about Daniel Carter. Maybe someone like Hugh Grant could fill his shoes. 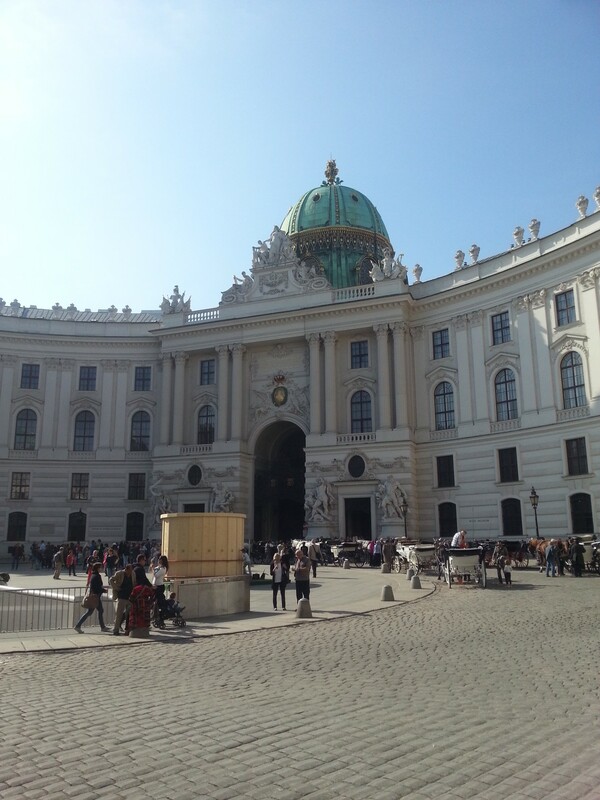 There are some wonderful locations as well, such as Madeira, New York, Vienna and London. I can always dream can’t I!? At least the music soundtrack has already been recorded! 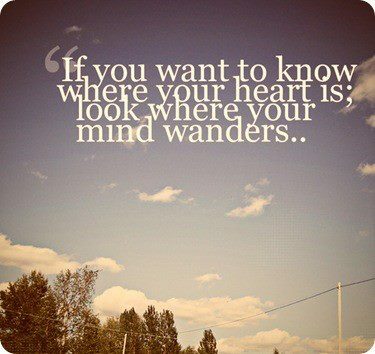 Mind-wandering is a fascinating topic. I thought I’d start this category off with a peek behind the scenes of our grey matter whilst it’s engaged in day-dreaming and mental time travel; better known as memory. You might think our brains are static while you’re not concentrating on a specific task, but quite the opposite is true. Scientists have produced evidence that for half the day our minds are wandering, (obviously not in one continuous epic day dream), and at night, whilst in REM sleep our minds wander into dreams. Despite the bad rap mind-wandering has received (even from a recent Harvard study), this can be no bad thing if we are designed to spend considerable chunks of time doing it. In his brilliant book, The Wandering Mind, Michael Corballis, emeritus professor at the Department of Psychology at the University of Auckland, has defended our innate tendencies to drift into these surreal synapses and put forward a compelling case for mind-wandering in various contexts. To alleviate his rather dull life, Walter indulges in frequent, exciting bouts of ‘zoning out’, but his life becomes infinitely more interesting when he embarks on a real-life adventure. In the Ben Stiller film version, his day-dreaming facilitates him stepping outside his comfort zone and undertaking the journey of his life. Mind-wandering is the portal to our memory, imagination, creativity, originality, mental time travel, the minds of others and psychic phenomena. In fact, evolutionary psychologists believe that our cerebral escapades were one of the earliest mental faculties to evolve in Homo Sapiens; our relatively modern branch of the Homo genus that emerged in the Pleistocene period some 200,000 years ago. Wander/won’der/intransitive verb. To go astray, deviate from the right path or course, the subject of attention, etc. At school, if the lesson was boring I’d often find myself day-dreaming despite my best efforts to concentrate on the task in hand. I would never have let on that I was day dreaming of course, for fear of the teacher’s wrath. 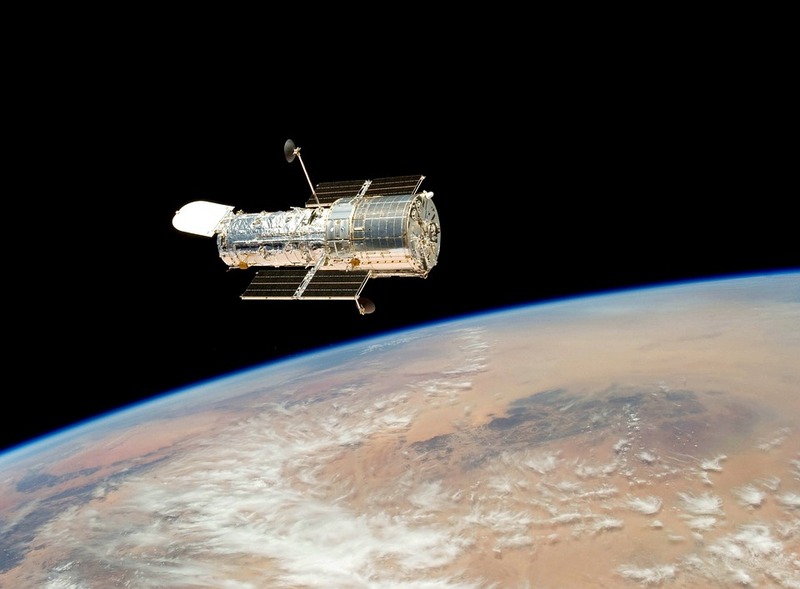 I’ve often noticed my children drifting off into other worlds during homework, reading, watching television and chores, concocting all sorts of outcomes. Depending on the activity I gently try to get them back on track. Sometimes though, when appropriate, I participate with them in some community and family mind-wandering. Ruby’s favourite mind-wandering realm is that of the animal kingdom. She can do the most brilliant animal sounds (honorary dolphin), and act like a monkey with the best of them! I’ve been surprised on many occasions at their problem solving abilities on issues that matter to them, most assuredly bolstered by their focus free interludes! I think I will be more tolerant of my childrens’ mind wanderings, especially when I’m giving them instructions or when they are getting ready for school. It seems that the taboo of mind-wandering is slowly lifting. Of course, there is a time and a place for mind-wandering. It’s definitely not when you are operating dangerous machinery, flying a plane or driving a car, as Walter Mitty does in the opening scene of James Thurber’s book, The Secret Life of Walter Mitty. In fact, you could be doing the exact same thing right now. As your eyes scan these words maybe your mind is roving elsewhere! Mind-wandering can be as intrusive as it can be pleasant. Perhaps we’re having trouble switching off; we can’t get that particular song or ear-worm out of our heads, we worry about trying circumstances or future events while we are trying to rest. Let’s take a break from the heavy mental lifting now and listen to a selection of popular culture’s music on the subject. Our understanding of what the brain is doing when it’s zoning out is possible because of an accident. It was German physician Hans Berger’s fall from his horse into the path of a horse-drawn canon that precipitated his exploration of electrical activity in the brain. Had his sister not sensed that he was in danger several kilometres away and contacted their father Hans may never have considered the possibility of telepathy and invented a technique we still use today, electroencephalography (EEG). When subjects were in a resting state with their eyes closed the EEG showed a fluctuation in voltage frequency ranging between 8 to 13 cycles, which was named ‘Berger’s Wave’. Today it is known as the ‘Alpha Wave’. 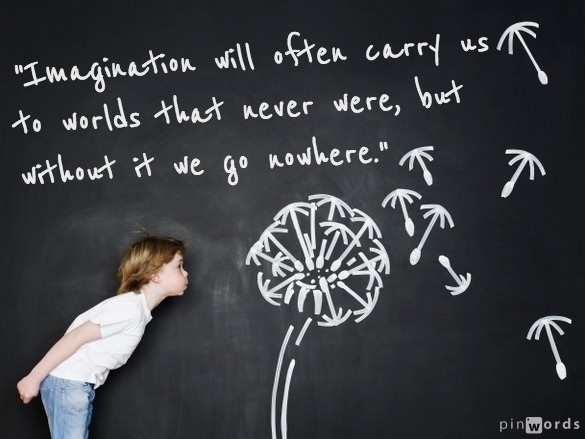 Alpha brainwaves are perfect for day-dreaming and creativity! Neuroscience has since sought to continue understanding how our brains work. 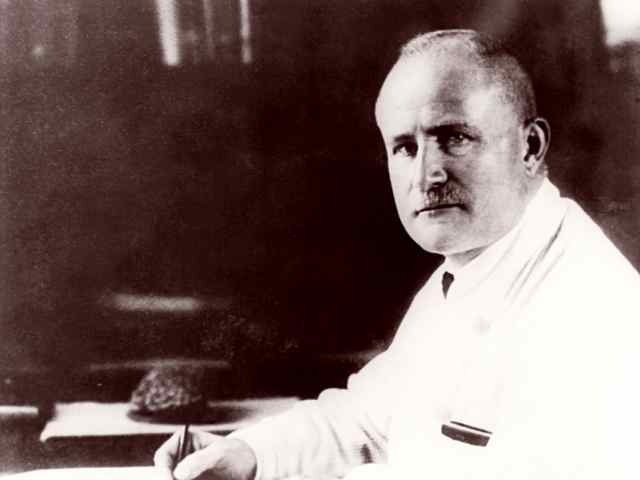 Newer methods for measuring blood flow to the brain were invented to study what was termed by David H Ingvar as ‘undirected, spontaneous, conscious mentation’. Positron Emission Tomography (PET) involves injecting radioactive substances into the blood stream to map activity in the brain, as well as functional magnetic resonance imaging (fMRI), which uses a powerful magnet to detect haemoglobin carried in the blood and thus map the brain’s network. In this way researchers can see which parts of the brain are active when a person is involved in a specific task compared to when they are idle. Surprisingly, the idling brain receives only 5 to 10% less blood than when engaged, and wider regions of the brain are active during idle moments. The brain regions active in the wandering mind have become known as the ‘Default Mode Network’. The Default Mode Network covers substantial areas of the brain, mainly in the areas not used in perceiving the world or responding to it. This is the network that lights up when we embark on our mental meandering. 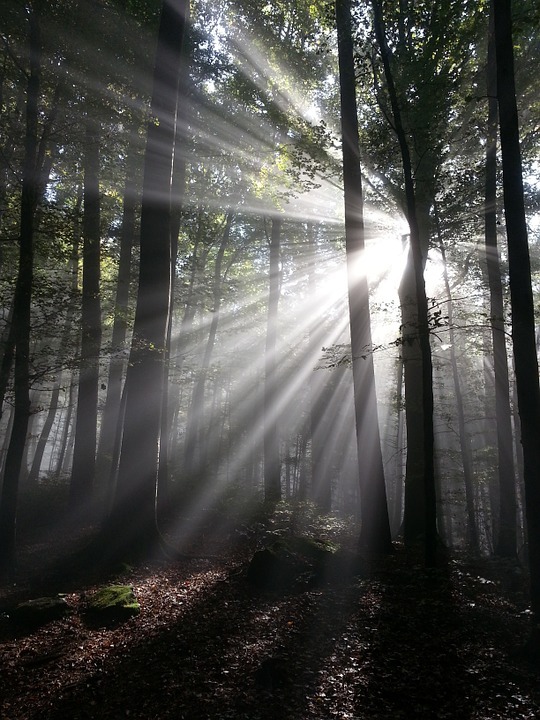 It seems that nature has equipped us with two equally important mental faculties: mind wandering and paying attention. How often we alternate between the two depends to a large extent on individual proclivities. But it happens whether we like it or not and whether we realise it is happening or not. The benefits of appropriate mind-wandering allow us to adapt to a complex world, especially when we need to escape the here and now, mull over past mistakes and consider possible futures and understand how other people’s minds work. Empathy would not exist without this ability. Neither would the creative spark of humanity and our innovations over millennia. All our modern conveniences, possessions, clothes, cars, art, culture, buildings, technology and the like were once figments and flashes of inspiration in a zoned-out mind. Our memory allows us to experience time as we know it, encompassing past, present and future, providing us with the ability to mentally time travel. We’ve all been there: trying frantically to remember someone’s name, retrace our steps to find lost keys, to recapture emotions and events that are meaningful to us and bury ones we’d rather forget. We use past events to help us envisage future events. Memory is therefore a creative process. Memories are strengthened connections in the brain, all made possible by the Hippocampus (Major). This remarkable section of the human brain is what imbues us with a sense of where we are in space and time, and acts as a cognitive map. It relates to personal matters, retrieval of personal events and making plans. Damage to this area can result in Anterograde Amnesia. 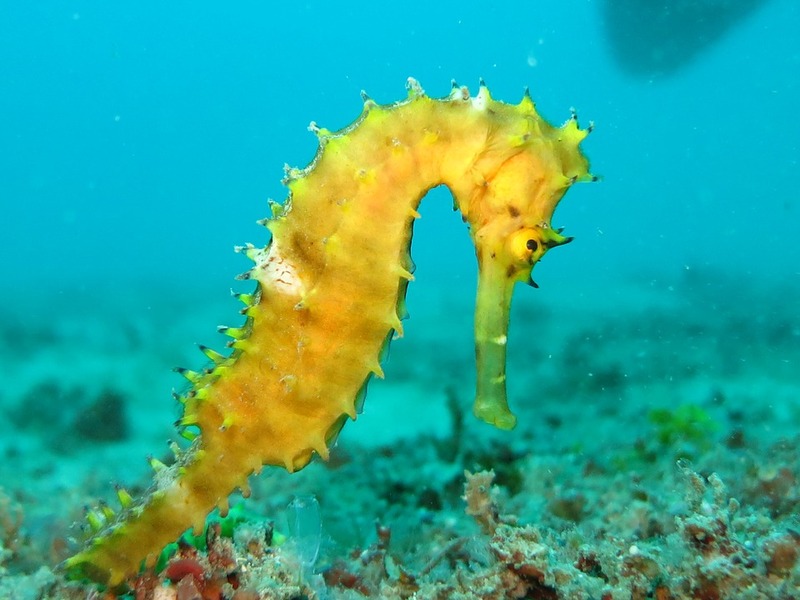 Because of its shape and resemblance to an equine sea creature, the name Hippocampus was derived from the Greek for seahorse. It’s located on the inner surface of the temporal lobes (behind the ears). 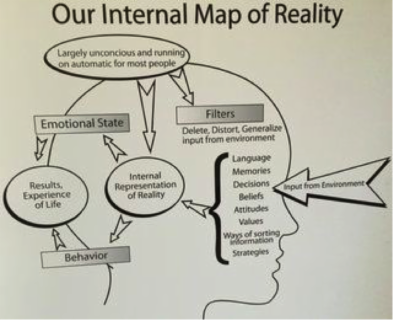 The Default Mode Network includes the prefrontal lobes, temporal lobes and parietal lobes, and activated areas overlap extensively. 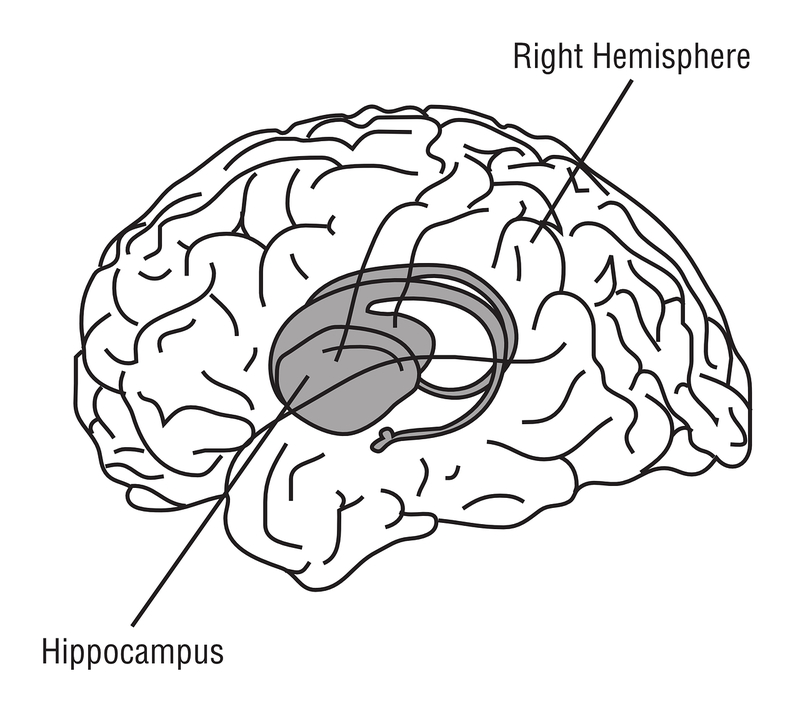 The Hippocampus is the hub of this network. The hippocampus is so powerful that vividly imagined scenarios often appear to be real, and the line between fiction and reality becomes blurred. Sometimes these ‘scenes’ can be remembered as though they actually happened. This is how false memories occur. It may seem the stuff of futuristic, nefarious thrillers (cue book idea), but it’s possible to put memories into people’s heads that weren’t there. Now, what was I saying? Are you still with me? Perhaps this is good place to rest and mind-wander for a bit. Next time I’ll explore the role of language, storytelling and psychical phenomena in our mind-wandering excursions. The fictional dream is a powerful phenomenon. There’s been many a time I couldn’t stand not knowing what was going to happen next because I was totally engrossed in a story. Equally there were moments when my imagination was in overdrive and I was writing so fast there must have been steam coming off my keyboard. Just as the benefits of reading impact on the reader, the action of writing imbues blessings on the writer. I’m willing to bet even famous and seasoned novelists still get a rush of joy when they read a good review of their work. It’s a kind of validation that the thing they love doing and can’t live without is somehow contributing to another person’s life in a positive way. 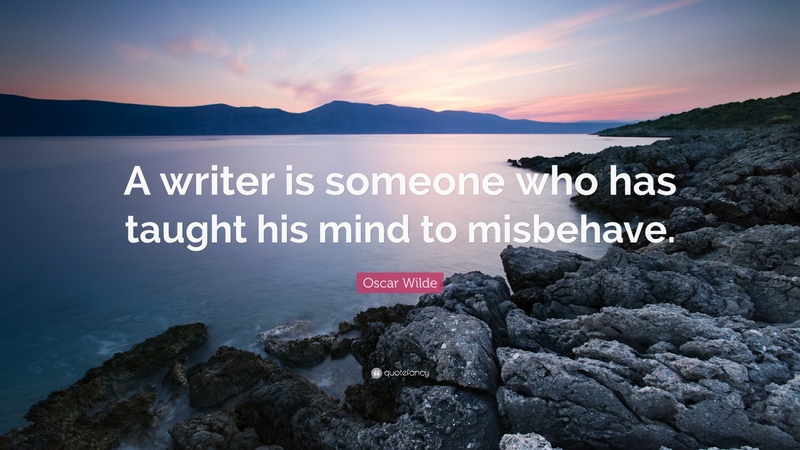 That’s certainly the case for me as a newbie author. But beyond those feel good factors there are some profound and deep things I discovered about myself in the process of writing and publishing The Virtuoso, that go way beyond recognition or financial success. It may not be a literary masterpiece in the same ilk as Hilary Mantel’s, or as epic as War and Peace, but it’s my story, told with my ‘voice’. In the spirit of sharing I thought it would be helpful to list my personal lessons, in case you were thinking of writing your magnum opus or best-seller this year! It could equally apply to any large project that you have decided to undertake in 2016. I’m a finisher. The first time I wrote the words The End a feeling of euphoria swept over me, but alas, it didn’t last very long! When I saw the quality of my first draft I was less than impressed and soon realised that it was going to take an awful lot of hard work to produce something of a respectable standard. After umpteen late nights, a further three drafts and two professional edits my 100,000 word manuscript was ready to go out into the big wide world. So what if it took a few years of consistent effort alongside my daily life; what means more to me is that I completed it. I have more courage than I thought I did. Sending your carefully crafted words out there is scary as hell! 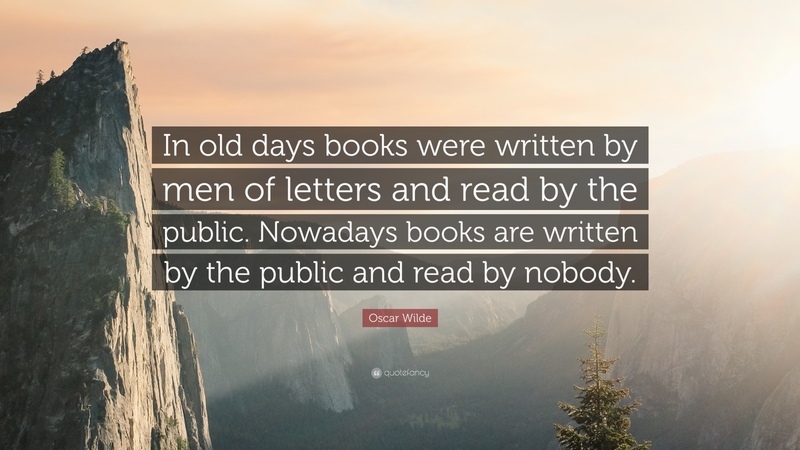 What if people don’t like what you’ve written? Neuroses plagued me. But I reasoned that ultimately it wasn’t important what people thought of me as a writer, the only thing that mattered was the book. The message not the messenger. 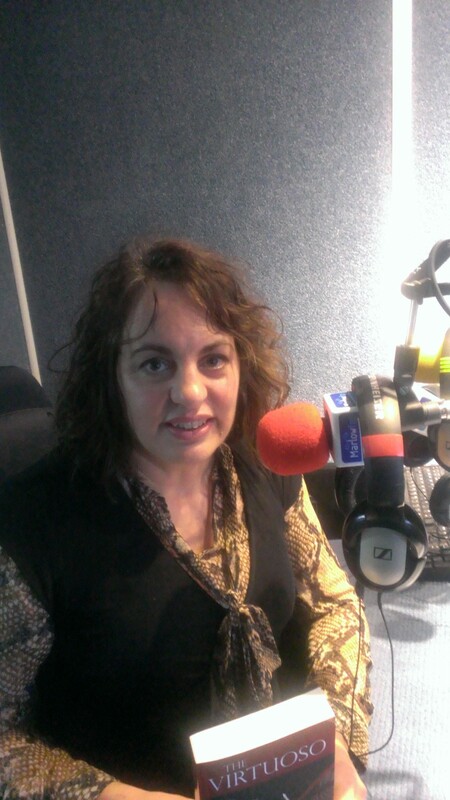 After my book was published I did three radio interviews, which the thought of doing absolutely terrified me at first. I spent most of last year way out of my comfort zone. But action cures fear. I was doing things I had never done before and conquering them, which is incredibly liberating and expands one’s horizons and confidence. I developed patience and perseverance. That lesson didn’t come easily either. I’ve had to work at becoming more patient and my book tested me to the limit! The time it took to write the thing, then get feedback, then polish and get more feedback and so on seemed interminable. Had it not been a labour of love I never would have stuck at it. Even the submission stage was a lengthy process, never mind how long it took to build up some reviews. They were worth waiting for as it turned out. I learnt to trust my instincts and to forgive myself for my mistakes. Perfection is great to aim for, but in reality we sometimes have to settle for our best at the time. Our maiden voyage in any endeavour is likely to be a little awkward and unsure. Can you remember the first time you rode a bike, drove a car, made love, played a musical instrument or learnt a new skill? Maybe you fell off a few times, fumbled nervously, dropped a few notes and irritated another driver with that daring manoeuvre at the roundabout? So too it is with writing and publishing a book. No experience is ever wasted; you just don’t always get what you expect from it, but rather what you need instead. Ultimately your lessons will be unique to you, depending on where you’re coming from and they’ll probably surprise you. Somehow the right people came into my life at the right time, and the support was there when I needed it. I’m very grateful to Satin Publishing for unleashing my words, and everyone who’s been a part of my writing/publishing journey. Above all, I’ve managed to widen back and go with the flow a bit more. 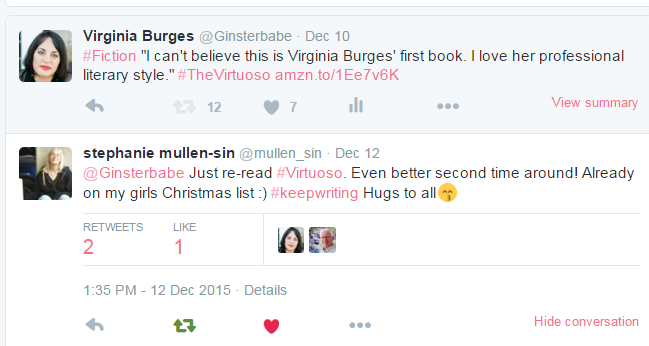 On the other hand, if you do feel inclined to read The Virtuoso I’d be very happy indeed! And if you also wrote a review I’d be ecstatic! So, whatever you’re planning to achieve this year, go for it! I’m going to let my voice do all the talking on this post! I’d like to say a big thank you to Jean Wolfe (@jeanspark) for having me as her guest on Friday 6th November to talk about writing on her BizBuzz show. 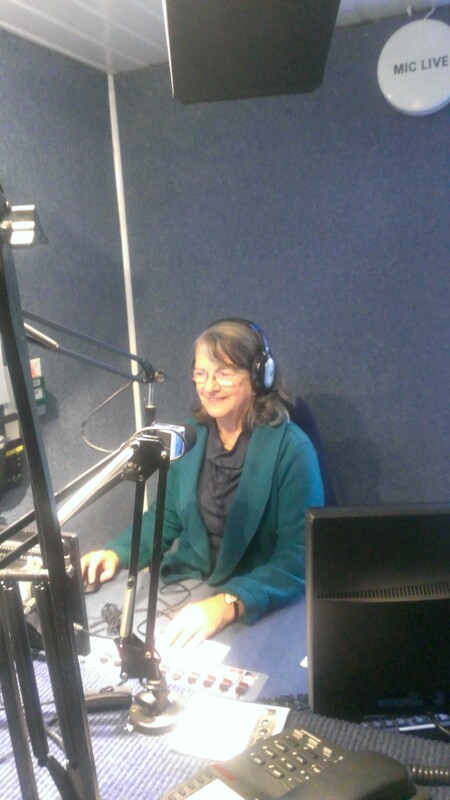 Jean broadcasts every Friday afternoon at 2 pm on Marlow FM. She was such a warm, welcoming and knowledgeable host and I really enjoyed our conversation. The goal of NaNoWriMo is write 50K words in a month! I’m using this month to get my next trilogy of novels off the ground. I don’t want to repeat everything we discussed on air, so without further ado here is the link to the interview which will be available with all the music interludes for the next three weeks. 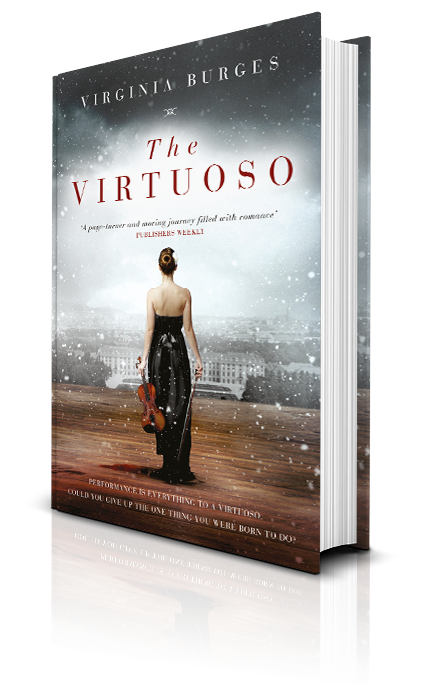 I was delighted to be on my local radio station Marlow FM (@MarlowFM), especially as there are a few scenes in The Virtuoso that take place in the town! “Music gives a soul to the universe, wings to the mind, flight to the imagination and life to everything.” ~ Plato. I can feel a rant coming on. I’ll try not to go overboard, but I’m already on top of my soapbox and it’s a subject very close to my heart – music. I don’t think I could live without music and the arts, life would be so…lacklustre. Yet a narrow education policy and lack of funding is depriving thousands of youngsters the opportunity to benefit from learning music and thereby develop their innate creativity; which can only improve their lives. My eldest daughter is now showing a great interest in singing and learning to play the violin, and we are so lucky that the High Wycombe Music Centre is just down the road. They do great work. It’s a major centre for brass and woodwinds, but they also do guitar and strings tuition. Emily plays the violin in their ‘sizzler’ group, which gives the children a chance to try all sorts of different instruments before deciding what, if any, they want to take further. Emily has an hour of this, then a short break and an hour of singing in the junior choir on a Saturday morning. They are such a friendly, welcoming group, and Emily really loves going. It’s a pleasure to hear her singing their latest songs around the house, and it’s done wonders for her confidence. Although the music centre doesn’t charge exorbitant fees, every activity that is extra-curricular soon adds up, at a time when many families are struggling financially. 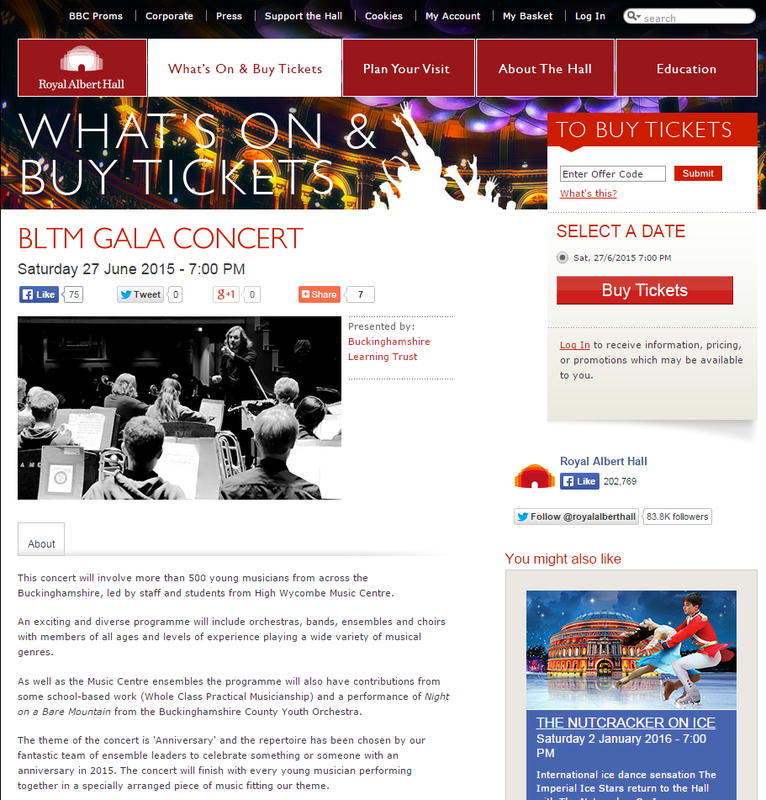 On Saturday 27th June Emily and her fellow students at the High Wycombe Music Centre will have the chance to perform at the Royal Albert Hall in the BLTM (Bucks Learning Trust Music) Gala. They do this every four years, and as Emily has been attending for only six months or so she’s fortunate to have the chance to take part. Earlier this year when Sir Simon Rattle returned to the UK after 12 years as the principle conductor of the Berlin Philharmonic Orchestra, he promptly suggested that London was in dire need of a brand new state-of-the-art music performance venue. Whilst I agree with him, as a leading city in the world, London should have a modern arts facility. The media really got behind it, even the chancellor and the Mayor of London are on-side. But not everyone agrees. Of course, London already has some fantastic historical and iconic venues: the Royal Albert Hall, the Wigmore Hall, St. Martin-in-the-Fields, the Southbank Centre, the Barbican and Cadogan Hall to name but a few. Where will the future British musicians, soloists, conductors and vocal artists come from to perform in this shiny new hall, if we don’t invest now in grassroots music education for all children, regardless of their socio-economic status? And it’s not just the future of our nation’s artistic community that’s at stake; the very future of our society is in question. Ahem! Sorry about that, I just had a drama queen moment. Government ministers should be thinking outside the box when it comes to reducing poverty and its associated behavioural manifestations. I firmly believe that music and the arts (along with education and a loving family environment) will help to protect against emotional, mental and physical vulnerability. It’s that old computer analogy: garbage in = garbage out. It starts with prevention. Prevention is easier than cure. With overwhelming scientific evidence of how learning music affects brain development and impacts on a child’s life in so many positive ways, it defies belief to read about yet more cuts in the arts sector and in education. Classical Music Magazine outlines cuts by several local authorities earlier this year. I mentioned the #DontStopTheMusic campaign in a previous blog (The Importance of a Musical Education), and James Rhodes has done a great job galvanising the arts sector and government in improving this dire situation. However, as someone who signed this petition on change.org last time, I recently had a message from them that made my heart sink: the government are still not giving music the same priority as other academic subjects. As the effects of our ‘age of austerity’ seep into our everyday lives there’s even more reason to protect music and the arts, by making sure that all children have access to the very thing that can stimulate a deep emotional response in their brains, that impacts their neurological health on many fundamental levels: memory, learning and plasticity, attention, motor control, language, pattern perception, imagery and other areas. Those early years are so important. My mother played Beethoven piano sonatas when she was pregnant with me, and I’m sure that’s why I love his music so much, and why music has played an integral part in my life. I grew up with it. We all have stories of how music has influenced us like that. There would be no such thing as movie soundtracks if music didn’t play such a vital role in our emotional perception. Filmmakers understand how it can add that defining emotional hook in our minds. I wonder if Star Wars would have been such a hit without the majestic interplanetary sound track written by film composer John Williams. The two are inseparable. Music and the arts are not just some fluffy dispensable activity that stimulates creativity; they are scientifically proven to be beneficial to the human family across the world, no matter the culture. Human beings inherently respond to rhythm and music, it’s a natural and fun way to produce dopamine, the so called ‘feel good’ hormone. And that concludes my diatribe. If I wasn’t sneezing, coughing and streaming with a summer cold I’d go and pick up my violin for a practice. I’ll just have to listen to this jazz/baroque fusion instead! And disdaining to be pleas’d. My call to action this week is to please sign the #DontStopTheMusic petition. The children will thank you. 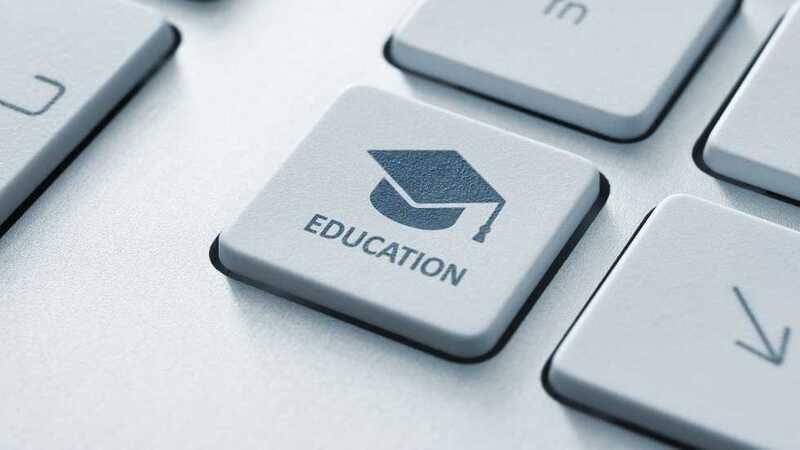 Now that the UK’s 56th general election has been so decisively concluded, and the ramifications of the results are already being endlessly debated, I got to thinking about one of the most important issues for me personally – education. Amidst the weeks of tedious campaigning it reminded me of the much used and successful Labour battle cry, when Tony Blair stormed to victory in 1997. It’s an important issue. It’s fundamental to most parents and voters. You want the best for your children. If governments got this right, I have a feeling the economy and many of society’s woes would take care of themselves down the road. We only get one chance to provide a solid foundation for our youngsters. Their minds are like sponges until the age of eight, and their confidence is a fragile commodity well beyond that. Does anyone have happy memories of their time at primary and secondary school? Do you remember feeling engaged with your subjects and teachers? Sadly, mine are few and far between. I excelled at French and English, was hopeless at maths, (except Algebra), and loved drama, music and PE. I was bullied mercilessly at secondary school, and worse was to come at college, (but that will have to wait for another post). Going to secondary school and higher education is a time of change and great upheaval: emotionally, hormonally, socially and mentally. If children already have a healthy sense of who they are and what they are good at, I propose they are less likely to go off the rails at this stage. It’s not to say they won’t experience any discomfort, but I think they are better equipped to weather the teenage storm. But it seems the curriculum, especially for primary schools, is rigid and confined, with too much focus on literacy and arithmetic. Lots of rote learning of tables and phonics. Don’t even get me started about how ill equipped phonics are when it comes to spelling. My daughter spells a word exactly how it sounds, full stop. Now, being a writer, I’m all for these important subjects to be taught, but they should be taught well, and not just by one method. Our children are individuals and will relate to teaching in their unique way. Where is the focus on creativity? Why are music and the arts fighting to be on the curriculum? I wrote a previous post about The Importance of a Musical Education – a subject very close to my heart. Why are there not enough trips and visitors to talk to and show the kids different skills and professions? I know cost is a factor, but what is the cost of not improving our education system? Good luck if your child is a square peg and doesn’t fit into a round hole, which is what mainstream schooling tries to shape them into. Heaven forbid a child should be ‘troublesome’ or have ‘learning difficulties’. In my humble opinion the ‘one size fits all’ approach is so damaging to children’s self-esteem and creative process. Anything can be learned. Original and creative thought are infinitely more valuable. 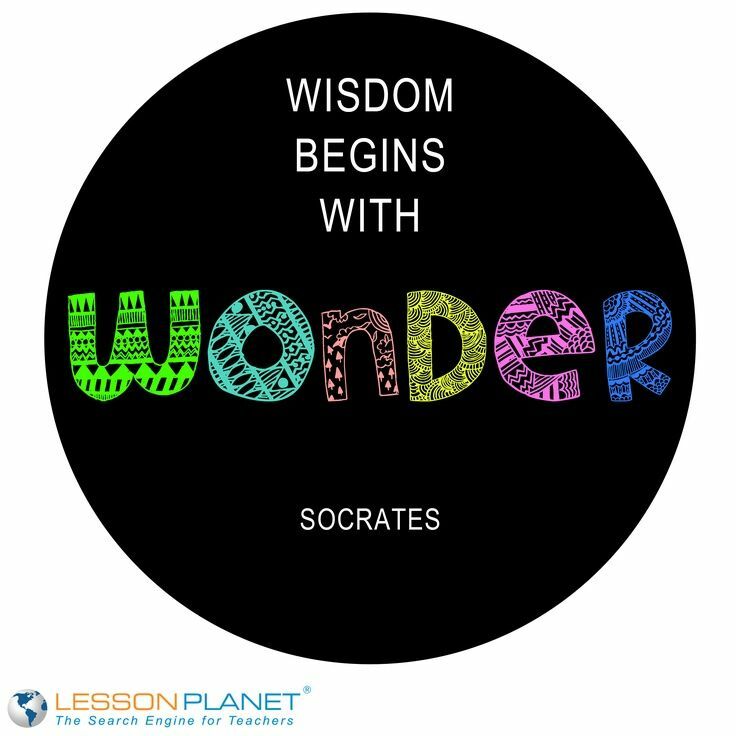 “It is the supreme art of the teacher to awaken joy in creative expression and knowledge.” ~ Albert Einstein. We should not just be teaching them how to read and write, we should be teaching them skills for life. We should be helping them to discover their talents. Emotional intelligence is every bit as important as IQ. 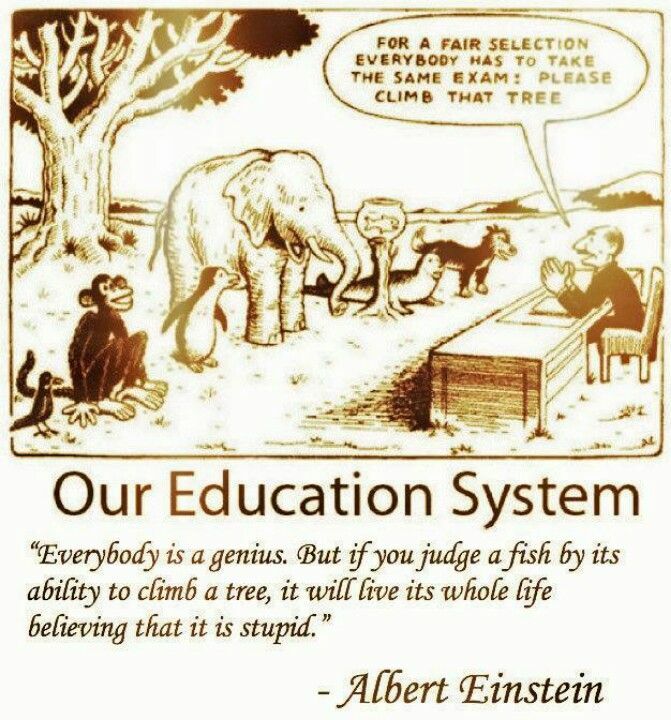 We need more flexibility and imagination in our education system, not more targets. 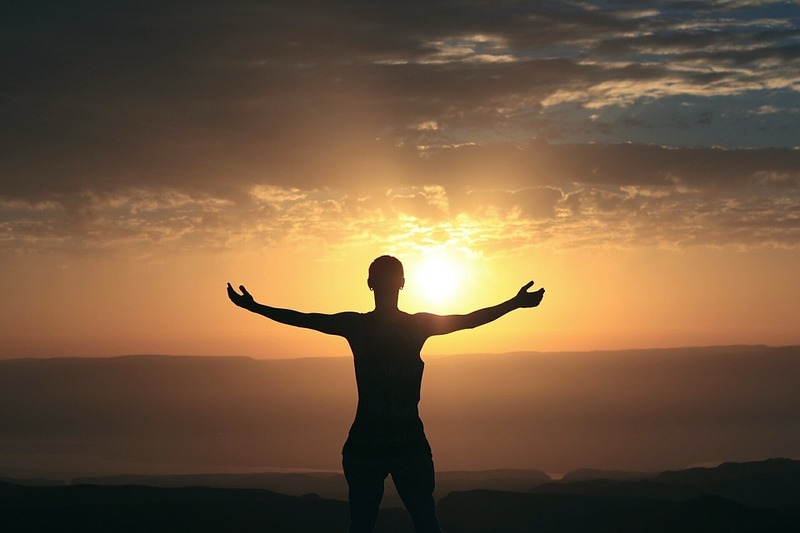 When you were growing up did anyone truly inspire you to follow a path that lead to contentment and success? 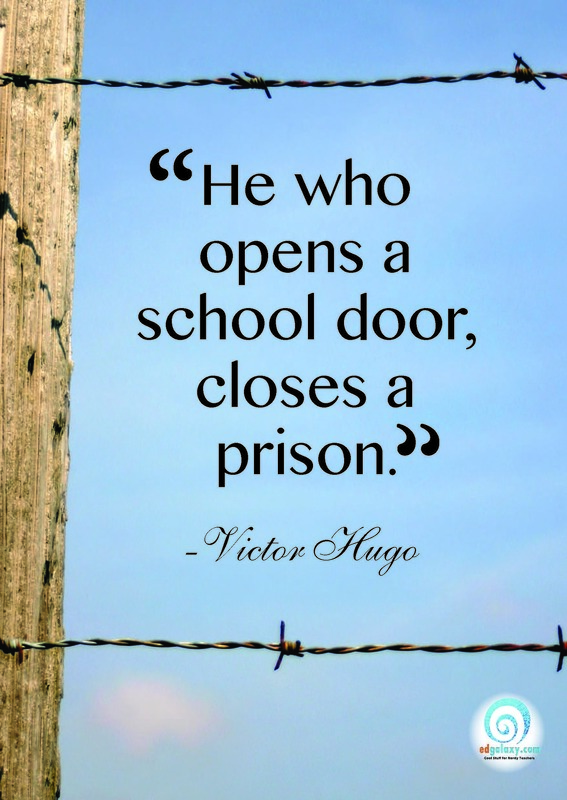 I was lucky to have a couple of really wonderful teachers who helped me in certain areas, but they are mostly confined to the system the government of the day imposes on them. My 13 year old son William is currently studying at Princes Risborough School and is now choosing his Key Stage 4 options for GCSE. It has been an easy choice for him; he knows what he wants to do, what he enjoys and what he’s good at. 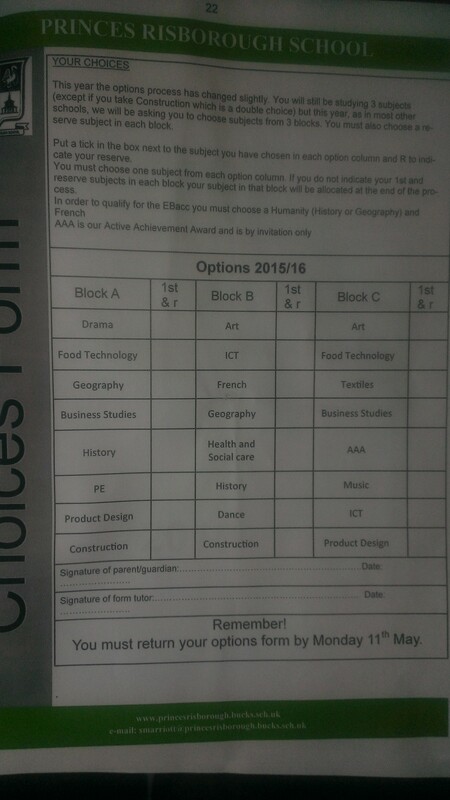 His three choices from the categories available are drama, history and business studies. I’m hoping he’ll do well in his June science exams and be chosen to study either triple or double science as part of his core subjects as well. The school were very supportive during this process to both students and parents alike, recommending students follow the subjects they love and excel at, plus a technology subject, in consideration of the government’s Progress 8 performance measures. It is predicted that students will change careers multiple times in their working lives, so to choose a subject for a lifetime is an almost impossible task. What really impressed me was that where students’ interests and government interests clash, they would always side with the student, having their best interests at heart within the set-up and capabilities of the school. Their motto is ‘Enjoy and Achieve’. A lot comes down to leadership. I’m thankful they have a great head teacher in Peter Rowe. At William’s school they also get to do an enrichment activity weekly (with interests as diverse as beekeeping and falconry on the list), and PE (non-examinable) as part of their post Year 8 curriculums, in addition to taking a Citizenship GCSE and their core subjects of Maths, English and Science. By the time my kids leave school I want them to believe that there is no glass ceiling on what they can achieve in their lives. He makes the insightful comments that children get ‘educated’ out of creativity, and that we should educate their whole being. I couldn’t agree more. It’s vital to help children discover their talents. He states that education is currently mechanical, and how it could improve if it were more organic. He talks about the need to create the conditions where children can flourish. The rise in home schooling shows the dissatisfaction parents have with such a narrow and institutionalised system. Article in The Guardian about Home schooling and the rights of both children and parents. 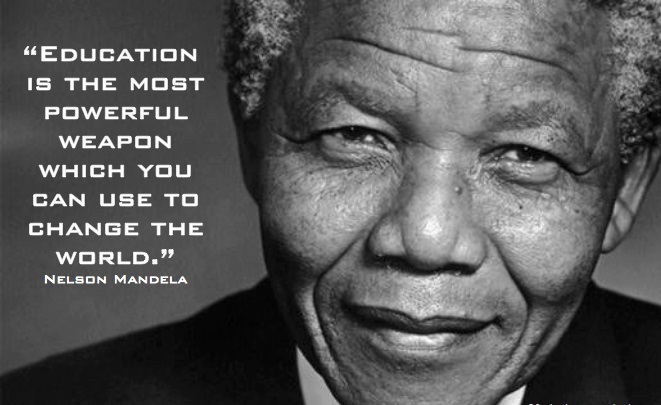 He sums it up perfectly: education is oriented to making a living rather than making a life. A great blog on Higher Density highlighting what schools generally don’t teach about creative thinking. 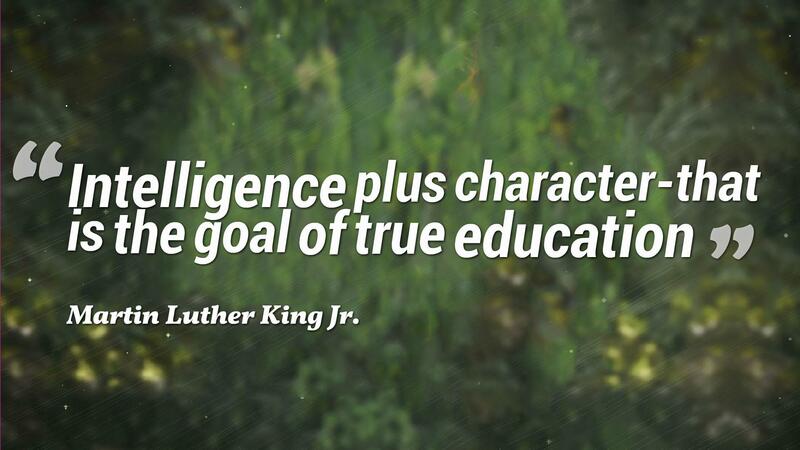 Education is a lifelong process. I try to set the example for my kids by continued study, as well as putting myself in situations where I will be challenged physically, mentally and emotionally. I strongly believe that if I don’t push myself and get out of my comfort zone, I’ll never know what I’m truly capable of. I feel that my role as a mother is to love, care for and nurture my children, which encompasses helping them to discover themselves, respect them for who they are and not who I want them to be, to have conviction and confidence in their ideas and abilities, become self reliant, have a meaningful set of values, a healthy self-esteem and dreams and aspirations to aim for, all in a supportive family environment. In short, providing the necessary ingredients for them to lead happy, successful and fulfilled lives, where they can have a chance at reaching their full potential. Wouldn’t it be wonderful if schools had the same mandate? The ensuing carnage must have been quite a shock for my head teacher, who was greeted by a very pale screaming girl, with the end of her finger missing and copious amounts of blood flowing everywhere. The trail of blood running from the girls changing room to the classroom must have been redolent of a murder scene. The whole of Bledlow Ridge Primary School knew that something quite grisly had just happened. He duly picked up the top of my finger and wrapped it up (I never asked what in), and I was driven straight to hospital. The car journey was awful, I was clutching my tawdry severed finger, and as the initial shock wore off the pain grew in intensity. It wasn’t a clean separation, and I was told that they would try and sew it back on. My mum and my family came to see me before the anaesthetic to reassure me. I had never been under before, and I was terrified I would never wake up again, as the anaesthetist counted down from ten. By the time he reached five I was out cold. 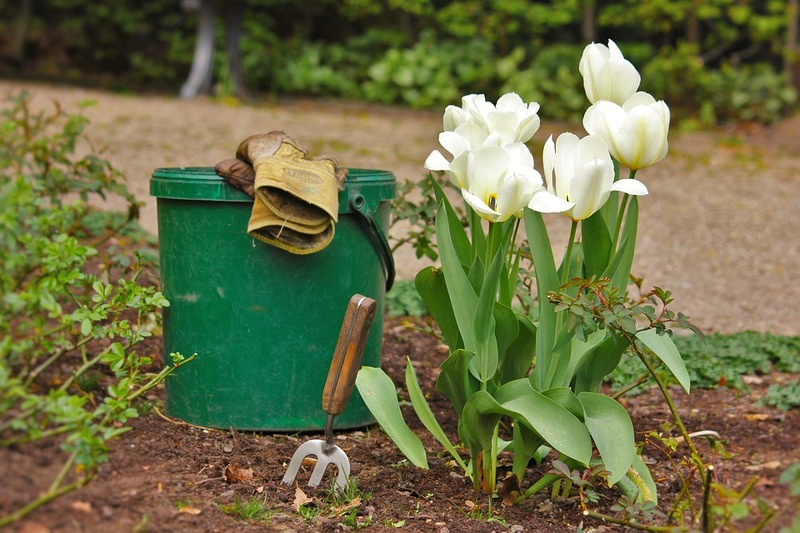 When I regained consciousness my finger was throbbing in agony and I felt groggy. The wonderful get well cards made by my classmates helped to cheer me up in the aftermath of my surgery. The only consolation was that I’m left handed, so it could have been worse, and I got to have quite a bit of time off school. My mum dug those handmade cards out of her loft recently. They still bring a smile to my face. I remember I couldn’t play netball for months, (which I was absolutely gutted about) and when the bandages eventually came off I was shocked to see that the top of my right index finger wasn’t actually recognisable as a finger. The nerve endings gave me hell in the cold. It was like needle points stabbing my flesh until it went numb. Needless to say, I have a thing about fingers and doors, and my kids have received several lectures about the dangers of getting a digit caught! In the midst of my trauma little was I to know that the experience would surface many years later from the depth of my psyche, to provide my muse with inspiration for the misfortune of my first heroine and protagonist of my novel, The Virtuoso. I’m sure I’ll feel a certain amount of satisfaction that I made it this far, for persevering over the seven years it’s taken me (on and off) to complete The Virtuoso, so that I can finally say my work in progress is now a work in print! I’m now at the stage where I’m excited that my work can open the door to other related creative pursuits. I was fortunate to meet and hear the violin virtuoso, Adelia Myslov in the summer. 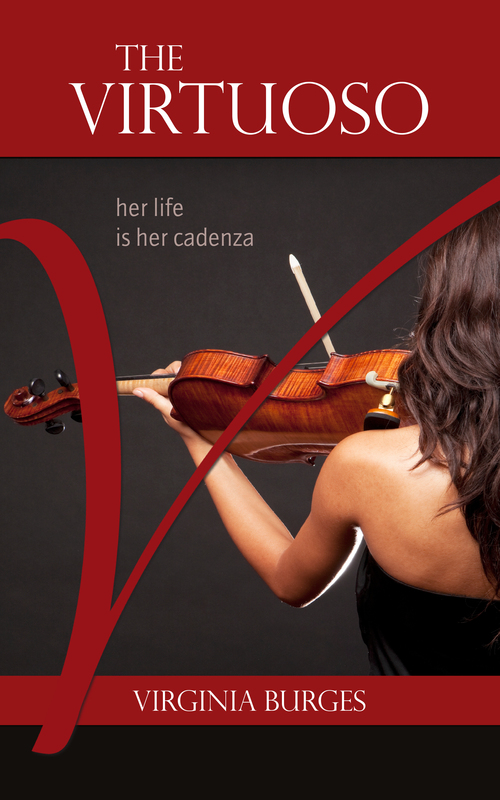 She played a stunning performance of the Mendelssohn Violin Concerto. I asked her if she would be interested in playing a specially composed unique ‘theme’ for The Virtuoso, and to my delight she said yes! The music project is still ongoing and I hope it will be composed and recorded in the not too distant future. Eventually it will be available on iTunes and Amazon. There is also a book trailer that has been produced for The Virtuoso by 13Media Arts in Daventry. Along with my voice, words and pictures, and Kevin and Darren’s digital jiggery pokery (I mean expertise), I am hoping it will prove to be a successful team effort! The path to publication hasn’t always been like the yellow brick road! At times I had so many other ‘distractions’ beckoning for my attention; mainly life happening around me. But I found that the more time and effort I put into it, the more I got sucked into my characters’ world of make-believe, and the more I felt as if I was becoming a proper writer.